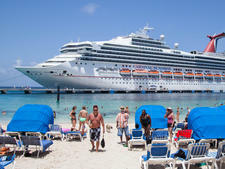 Solos hoping to avoid the dreaded single supplement should know that select cruise ships have cabins designed and priced specifically as single-occupancy rooms. Called solo cabins or studios, these are usually small staterooms with most of the same standard amenities (including private bathrooms) as regular cabins, and can be inside, ocean-view and, on a few rare ships, balcony category rooms. For solo cruisers looking for ships with cabins created specifically for them, here is a list of cruise ships with solo cabins, organized by cruise line. AmaVerde, AmaBella, AmaLyra, AmaDolce, AmaDante and AmaCello: Six riverboats in AmaWaterways' European fleet offer one or two solo cabins each; all are 140 square feet and some have French balconies, while others have a window. American Queen and American Empress: Solo river cruisers will find 12 single-occupancy rooms on American Queen: eight 80-square-foot inside cabins and four 140-square-foot outside rooms. There's just one solo cabin on American Empress, a 160-square-foot outside stateroom with a private veranda. Celebrity Edge: When it debuts in late November 2018, Celebrity Edge will offer the line's first solo cabins in the form of 16 Infinite Veranda rooms. These rooms are designed to blend the indoors with the outdoors, giving occupants the choice of either an open-air balcony or closed-in sunroom with the touch of a button. Costa Diadema, Costa Fascinosa, Costa Favolosa, Costa Pacifica, Costa Serena, Costa Magica, Costa Fortuna and Coste neoRomantica: Slightly more than half of Costa's ships have solo cabins, with Fascinosa, Favolosa, Pacifica and Serena all having 17 rooms designated as single occupancy. Diadema has the most at 21 rooms (these come with complimentary breakfast in bed), and Costa neoRomantica has the fewest with six. 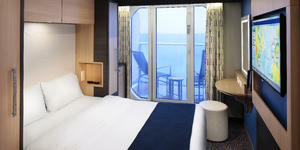 Solo cabins are either inside rooms or ocean view and range in size from 102 to 199 square feet across the eight ships. 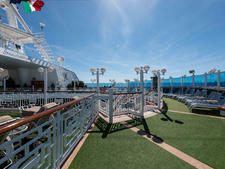 Fleetwide: Cunard's three ships offer some of the largest single-occupancy cabins in the cruise industry. Queen Victoria's nine single-occupancy cabins -- eight are ocean-view rooms, while the ninth is an inside cabin -- are all 159 to 162 square feet in size. Queen Mary 2 and Queen Elizabeth have a few more rooms, with 15 ocean-view Britannia Singles staterooms, available in two sizes: 178 or 183 square feet. Rooms feature a two-door wardrobe and three large drawers. Fleetwide: All of U.K.-based Fred. Olsen's ships have solo cabins: Balmoral has 64, Braemar has 40 and Black Watch and Boudicca each have 43. Solo cabins run the gamut from insides to outsides and balconies, and range in size from 130 to 200 square feet. 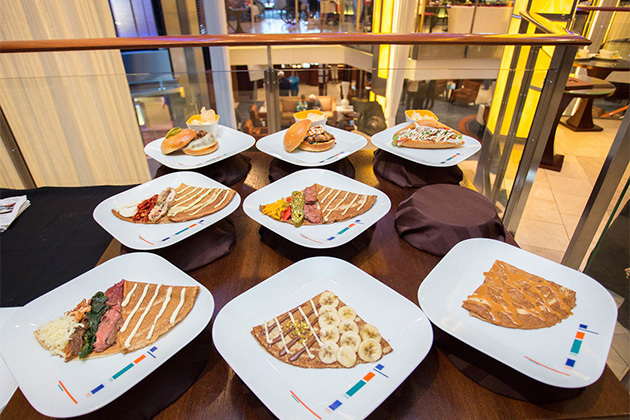 Koningsdam and Nieuw Statendam: Holland America's two newest -- and largest -- cruise ships both offer 12 solo cabins apiece. All have an ocean view and range in size from 127 to 172 square feet. Room amenities include a writing desk and chair, and a large single bed. Bathrooms are exactly the same size and shape as those in a standard ocean-view room. 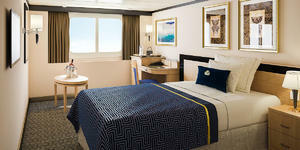 Norwegian Epic, Norwegian Breakaway, Norwegian Getaway, Norwegian Escape, Norwegian Bliss and Pride of America: Norwegian Epic was one of the first cruise ships in the cruise industry to offer cabins built and priced specifically for cruisers traveling alone; all Norwegian ships built since then have featured the 100-square-foot rooms, called studios. What makes Norwegian's solo cabins different from those on other lines is that cruisers staying in the rooms (except on Pride of America) have exclusive access to the Studio Lounge, a comfy hangout spot with sofas, large screen TVs, coffee-making facilities and a bartender tending bar at certain times of night. 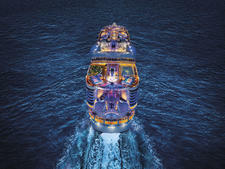 Norwegian Epic has 128 studios, while Norwegian Breakaway and Getaway have 59. Norwegian Escape and Norwegian Bliss each have 82. Pride of America, which received the studios during a refurbishment, has just four. Azura, Arcadia, Aurora, Britannia, Oriana and Ventura: Six ships in the P&O fleet have solo cabins, though they all vary by how many, what types and how large the rooms are. Azura and Ventura both have 18 singles rooms -- six inside and 12 outside, all sized at 130 square feet. Arcadia has only six single cabins, but two have balconies. All range in size from 130 to 189 square feet. Britannia has the largest selection of solo cabins, with 12 insides and 15 with a balcony. All are 134 square feet, and balconies are 36 square feet. Oriana has just two inside solo rooms. Quantum of the Seas, Ovation of the Seas, Anthem of the Seas and Harmony of the Seas: All of Royal Caribbean's Quantum-class ships feature 28 dedicated studio cabins for travelers traveling solo. Options range from so-called "virtual balcony" cabins (which feature 80-inch floor-to-ceiling LED display screens that project live images from outside the ship), as well as rooms with actual 55-square-foot balconies. All cabin interiors range in size from 101 to 119 square feet. The only Oasis-class ship in the Royal Caribbean fleet to have single-occupancy cabins is Harmony of the Seas. Fifteen cabins, a mix of inside and ocean-view rooms, are available; they're smaller than what you'll find on the Quantum-class ships, starting at just 96 square feet in size. Safari Explorer, Safari Quest, Safari Voyager, Wilderness Adventurer and Wilderness Explorer: Five ships in the UnCruise fleet have solo cabins but there is little consistency among them. Safari Explorer has one 124-square-foot solo cabin; Safari Quest has a 130-square-foot single room and Safari Voyager has two 90-square-foot rooms for solo cruisers. Wilderness Adventurer and Wilderness Explorer each have one room for solos.